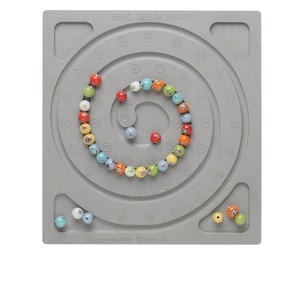 Bead board, silicone rubber, grey, 7 x 7-1/2 x 1/4 inch rectangle with spiral design. Sold individually. Item Number: H20-4104BS Have a question about this item? 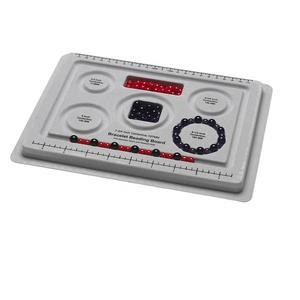 Flexible bead boards for jewelry-making have grooves to lay out your beaded jewelry designs before stringing. Bead boards have measurements on the side to help you make consistent lengths of strands. Layout patterns, fiddle with the design and then quickly string the end result. 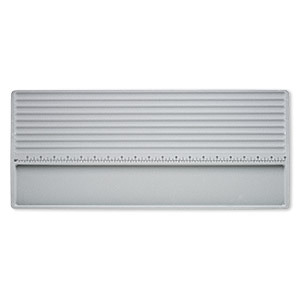 Bead board, silicone, grey, 20-1/2 x 7-1/2 x 1/4 inch rectangle. Sold individually. 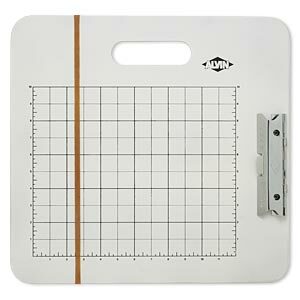 Sketch board, tempered Masonite® / steel / rubber, white and black, 16-1/2 x 15-1/2 inch single-sided gridded rectangle. Sold individually. 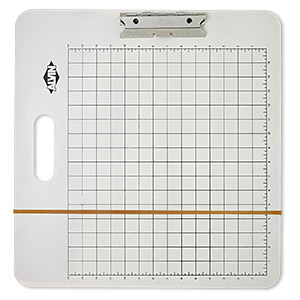 Sketch board, tempered Masonite® / steel / rubber, white and black, 19-1/2 x 18-1/2 inch single-sided gridded rectangle. Sold individually. Bead mat, neoprene and silicone, black / blue / white, 20x15-inch rectangle. Sold individually. Bead board, grey with flocking, 10x7-1/2 inches with 5 round grooves for bracelets. Sold individually. 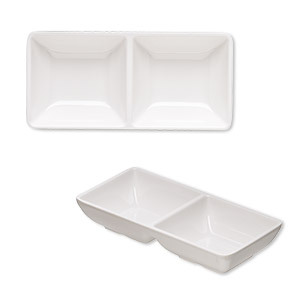 Tray, acrylic, white, 3-1/4 x 2-1/2 x 1/2 inch rectangle with 2 compartments. Sold individually. 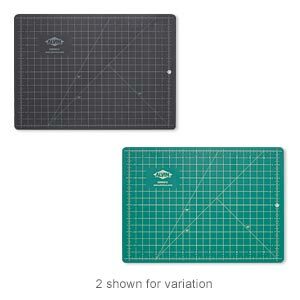 Cutting mat, self-healing, composite vinyl, green and black, 12 x 8-1/2 inch double-sided gridded rectangle. Sold individually. 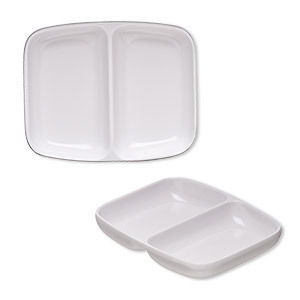 Tray, acrylic, white, 5-3/4 x 2-3/4 x 1 inch rectangle with 2 compartments. Sold individually.